Pro Boat – Wake Your Summer Special Offer « Big Squid RC – RC Car and Truck News, Reviews, Videos, and More! Some of the most fun that we have on hot summer days is cooling off by going rc boating. 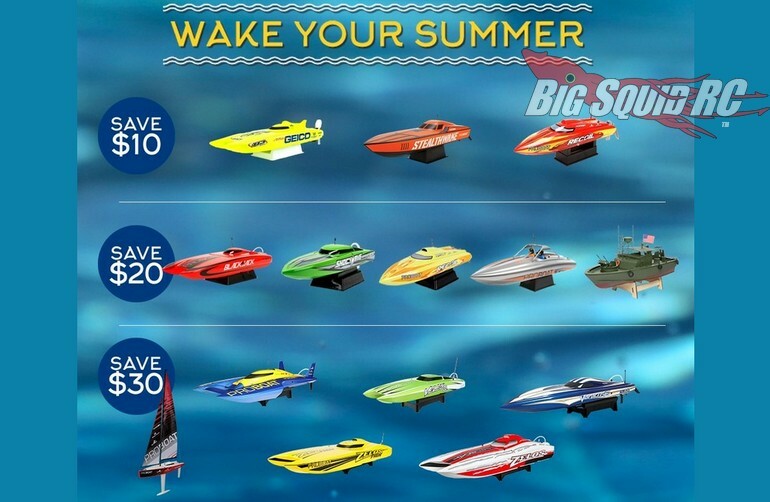 Now, with Horizon Hobby’s Wake Your Summer special offer, you can save cash on some of Pro Boat’s most popular models. From the small 17″ Miss Geico, all the way up to the giant 48″ Zelos G, the Wake Your Summer special offer can help you save some cash on that boat you’ve always wanted. To get full details on the event, simply click This Link. Also, you can Click Right Here to read more Pro Boat news on BigSquidRC.